The Committee on Christian Nurture and Pastoral Care of the Diocese of Eastern Kowloon ran the Alpha Marriage Course between September and December last year. Fifteen couples celebrated their completion of the programme in a graduation ceremony held at the Calvary Church on 19 January. 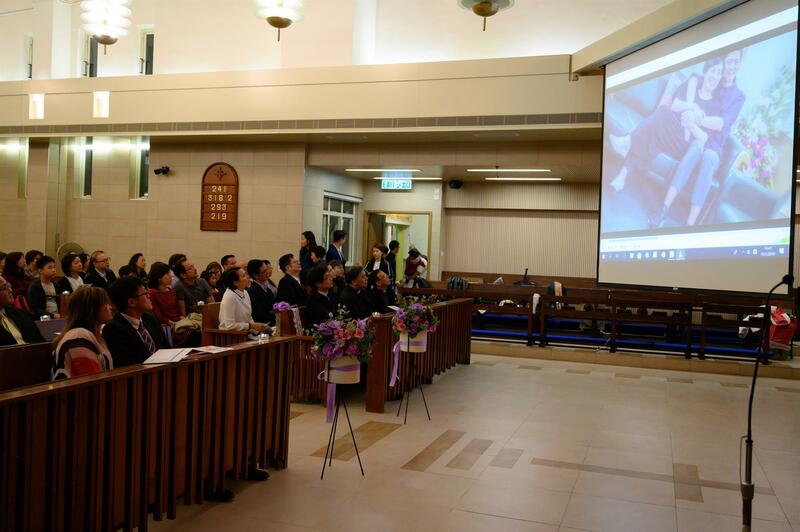 During his address, the Bishop of Eastern Kowloon, the Rt Revd Dr Timothy Kwok, commended the participants for taking the course seriously and for being willing to dedicate more effort to their marriage. He pointed out that to maintain a marriage and to keep it strong, both spouses needed to be committed to upholding it and sometimes they needed to be cheered on. Bishop Kwok thanked the organizers and staff for devoting their time and energy to the course so that every detail was perfectly coordinated. He also encouraged the couples to join the course again in the future, not as students but as organizers, volunteers, or companions, to share their experiences with new students.